There are 4 seasons on the calendar, but if you ask most people, they will tell you that summer's best, that summer reigns. 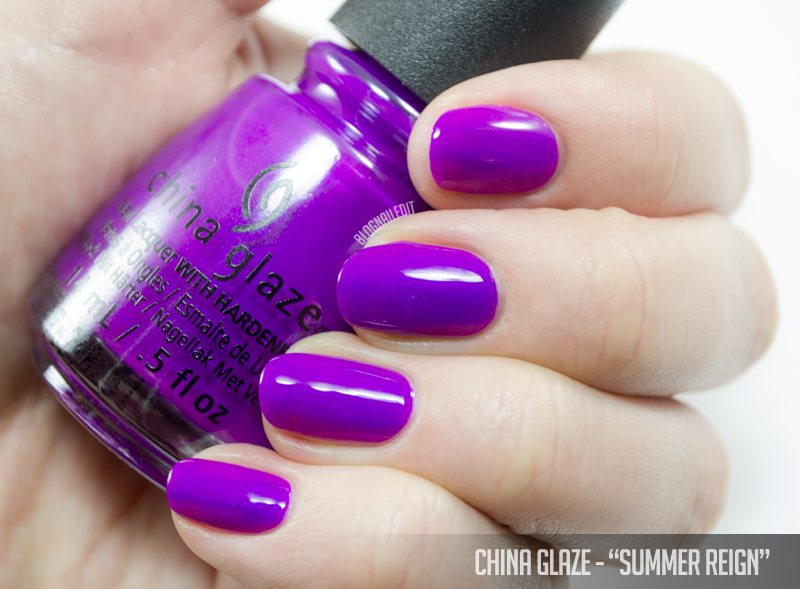 China Glaze nailed that sentiment with their summer 2017 collection, Summer Reign. This collection has a swath of colors, but they mostly read "tropical" with punches of metallics. I loved the juicy rich colors from the collection more than the metallics, particularly the dark jade shade, Emerald Bae. It reminded me of the watermelon Blow Pop wrappers. Emerald Bae is the dark green shade. I also used All Glammed Up and Flame-Boyant from Summer Reign. Don't you love these juicy tidbits?! Now here's the rest of the swatches for Summer Reign! All Glammed Up (2 coats) is a very smooth turquoise creme. 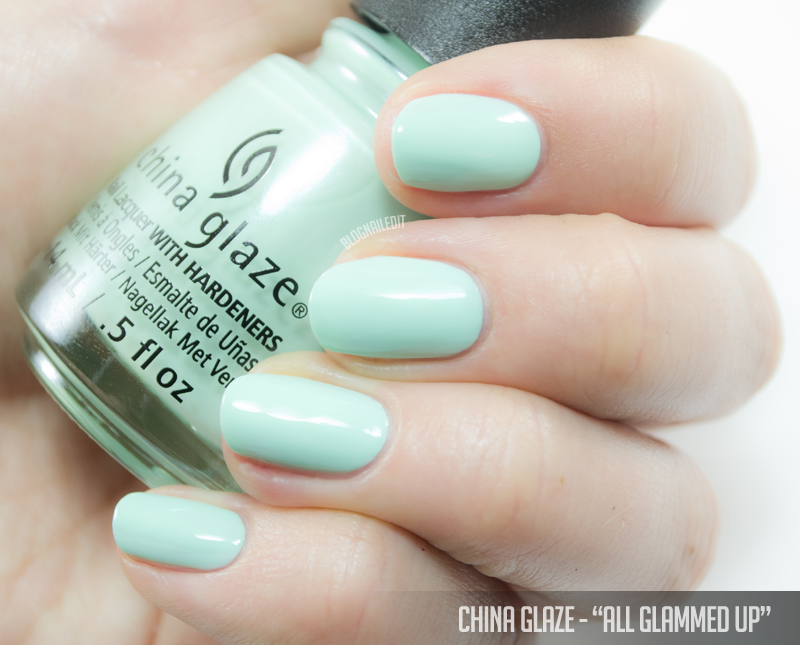 China Glaze has always produced amazing greens (hello For Audrey! ), and this one's no exception. Chroma Cool (2 coats) is a good ole silver metallic. Great coverage, easy application, smooth finish. 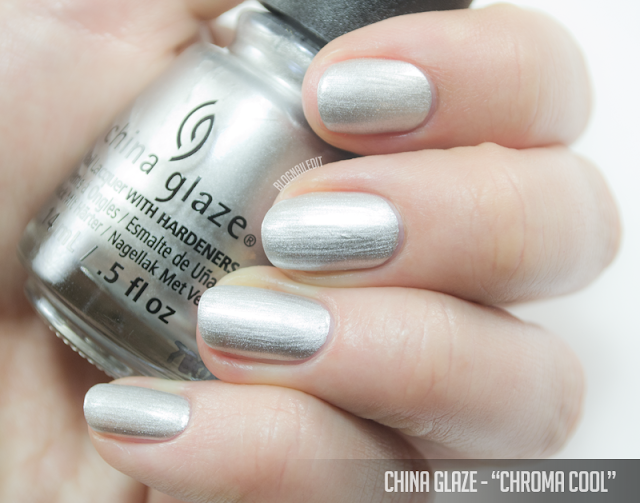 It's not the most reflective silver, but it's pretty good as far as polish goes! 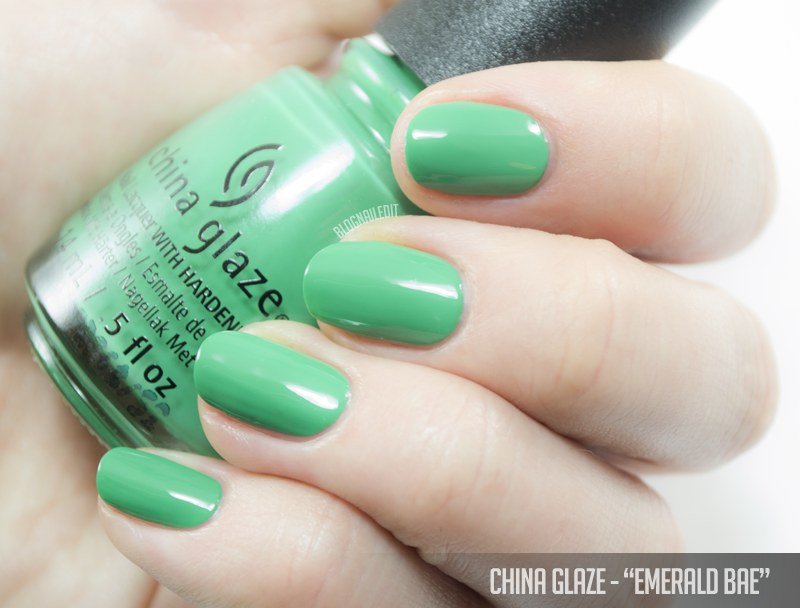 Emerald Bae (2 coats) is a very smooth (in texture and appearance), cool, mossy green creme. It's very opaque, so it was easy to use it for the French tip of the watermelon nail art I did. If it weren't full coverage, you'd get horrible patchiness over such a bright red. 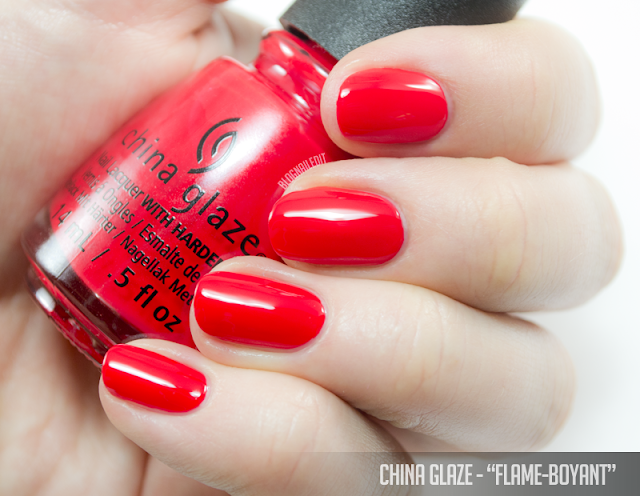 Flame-Boyant (2 coats) is a sincerely bright red creme polish. Without top coat, it dries a little matte too. 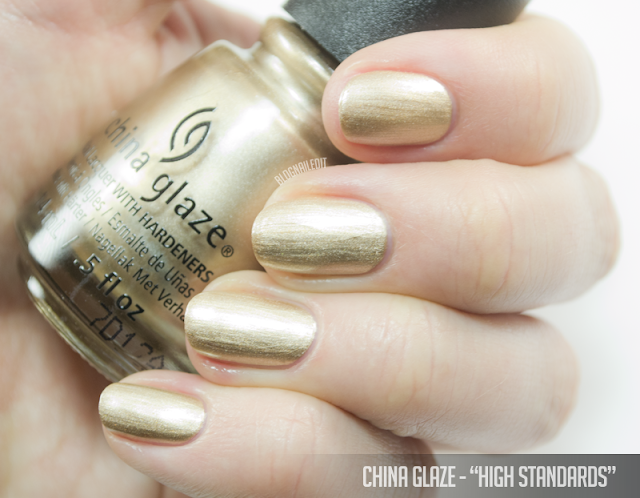 High Standards (2 coats) is another smooth metallic, but this finish is gold. 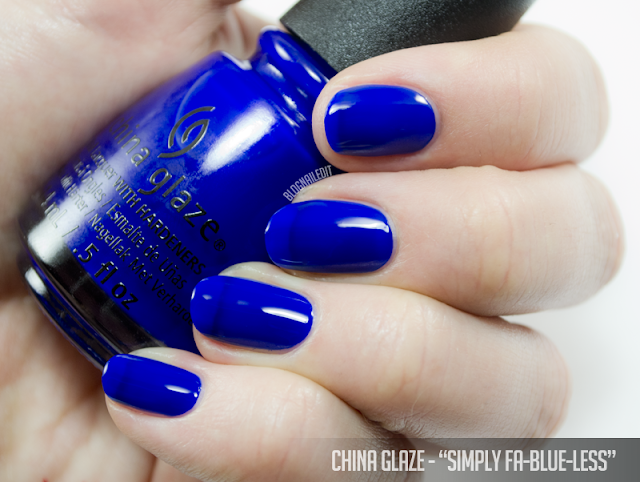 I Truly Azure You (2 coats) is a good coverage, medium-blue with light blue pearly shimmer. It's not neon, contrary to how I thought it would be when I first opened up the package. 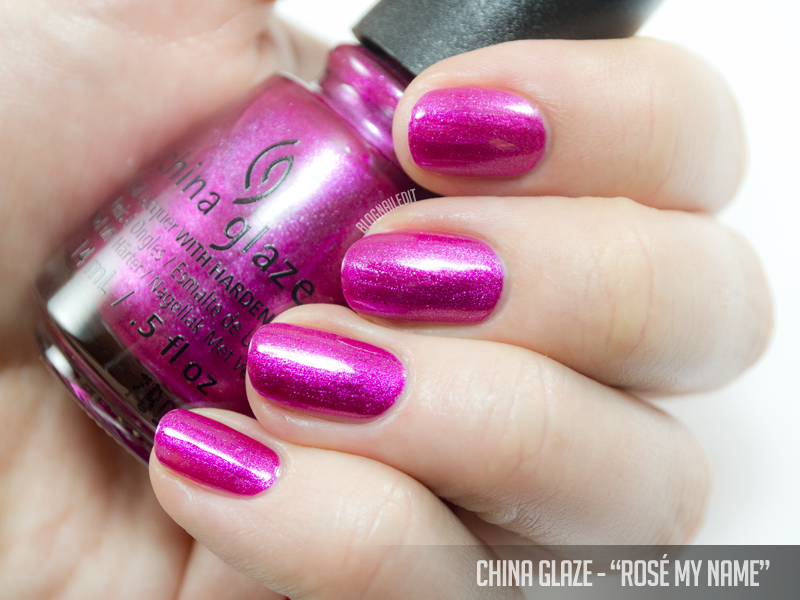 Rosé My Name (2 coats) is the last metallic polish of the collection. It's a magenta chrome. It's not the smoothest finish, but it applies nicely. Simply Fa-Blue-Less (2 coats) is such an intense color, I LOVE IT! It's a dark neon (if that's possible) blue jelly. The pictures make it look obnoxiously sheer, but that's not the case. It's really shiny and I truly love it. It really is fa-blue-less! Sultry Solstice (2 coats) is also neon, with a little more coverage. It's not quite a creme, but not quite a jelly. This neon orange crelly also dries somewhat matte without top coat. Summer Reign (2 coats) is the collection's namesake. It's a matte, neon purple creme with very minimal pink shimmer. The shimmer comes out around the edges in the shot above. 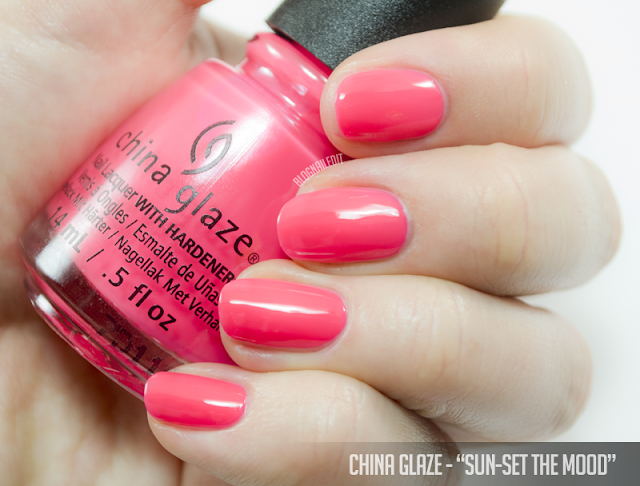 Sun-set the Mood (2 coats) looks basic in the picture, but it's a hot neon coral creme. The coverage is decent, but not ideal. This one also dries matte. 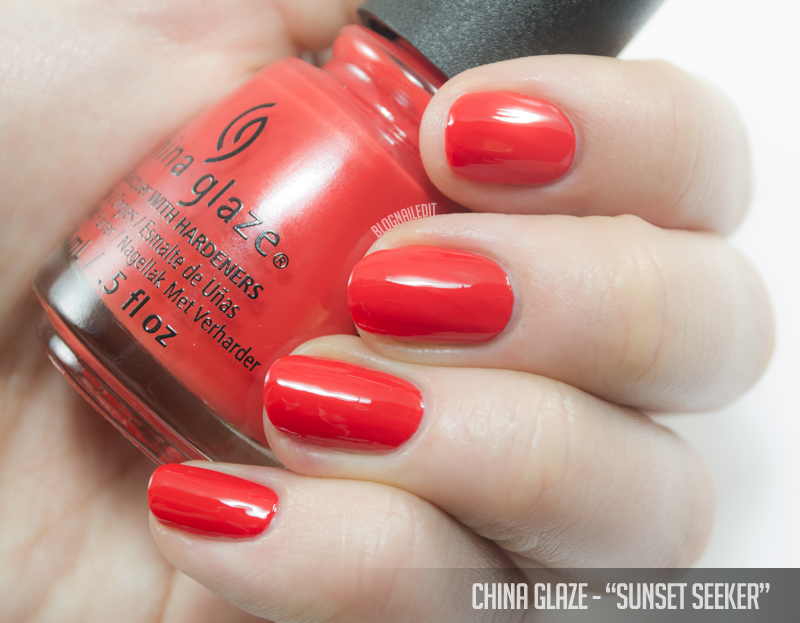 Sunset Seeker (2 coats) is a dark, but still bright classic matte orange creme. It has red, but it's definitely still an orange. I need Emerald Bae in my life. I love that green. This is a really nice collection and I have purchased several of the polishes, but that green one is still on my wish list. 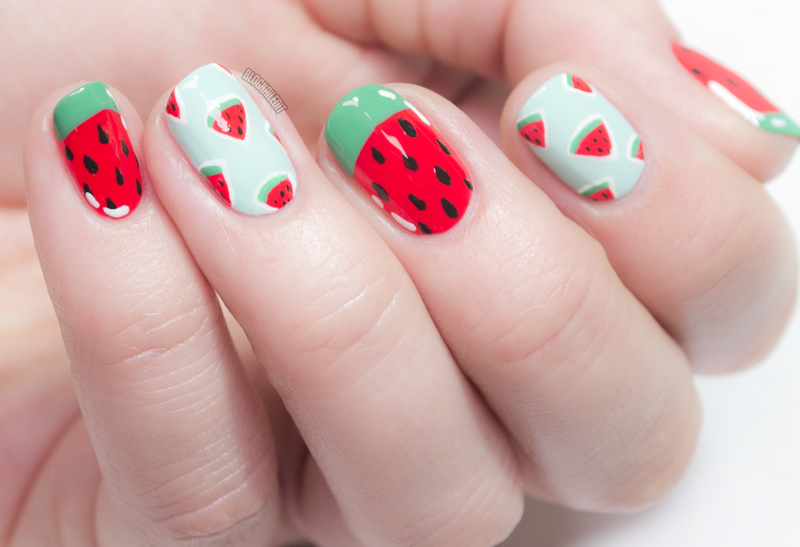 Cute mani using the polishes together to get this summery watermelon look.